I’m excited to be back in the States to start the launch of my new book, Reboot with Joe: Fully Charged. On this eight year journey, I’ve learned so much about what it really takes to live a healthy life. And believe it or not, it goes beyond juicing and eating fruits and vegetables. In this book I reveal the seven keys to total wellness – tips that are easy to implement but make a huge difference. These are the keys I believe will help you lose weight, stay healthy, and not just live your life, but thrive, and power through your day “fully charged”. I didn’t think of these keys completely on my own, it was a group effort. I’ve met so many experts over the course of making my movies, Fat, Sick & Nearly Dead 1 and 2, and writing The Reboot with Joe Juice Diet book and recipe book to get their advice on how to stay healthy in an unhealthy world (not to mention being guinea pig #1 myself!). And not just experts, but everyday people like you and me who have inspired me with their own stories of success. I learned so many things that surprised me so I wanted to put that information together in this new book. 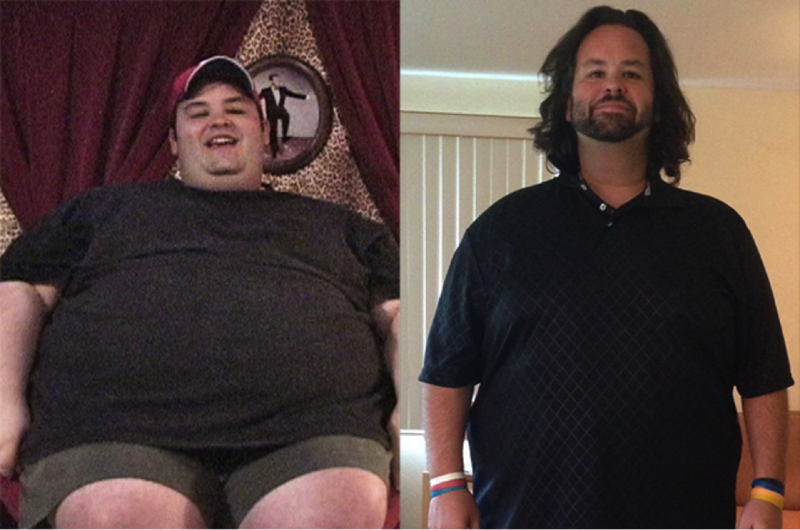 I’ve also featured some of those everyday people who made an impact on me – in the book you’ll find success stories of those who have been able to maintain their health after Rebooting, like Bobby Brennan featured below. After all, it’s the maintaining that’s the hardest part – it’s the “what next”? This book tackles that. Whether you’ve Rebooted and want to find ways to sustain those juicing and eating habits, or want to start a new program to lose weight and adopt a healthy lifestyle, Reboot with Joe: Fully Charged is full of information, inspiration and encouragement that will help you. My seven keys to wellbeing are explored at length and include advice on eating the right stuff, finding a new groove that helps change your habits, getting help from those around you, chilling out (let’s face it, we all could relax more), ending negative thoughts, and so much more. The book is available for sale on March 2 in the US and Canada, and you can order it today. If you are elsewhere in the world, it’s coming to you soon. You can pre-order it via the links below. I’ll be touring the world so make sure to check my Fully Charged Book Tour schedule to find out if I’ll be in your area!